Mountains are to be climbed but I have never been drawn to ropes, picks, anchors and spikes. I'm more for sitting back and letting a train or cable car do the hard work for me. 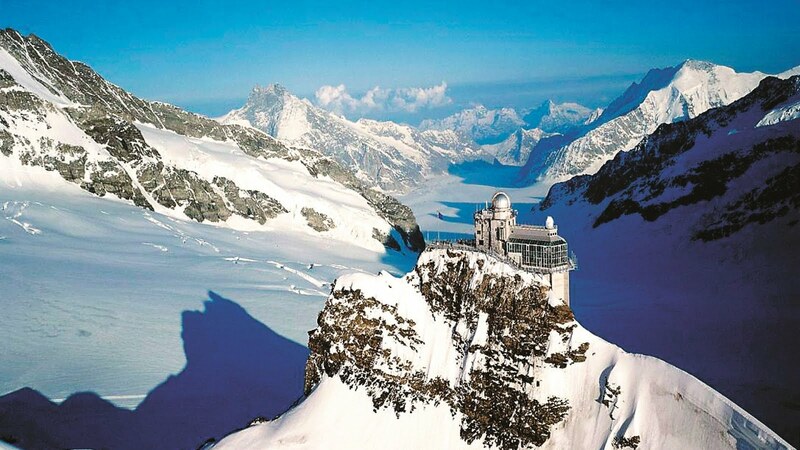 That is one reason I love going to Jungfraujoch, The Top of Europe. The Bernese Oberland Railway travels from Wilderswil into the Lauterbrunnen and Grindelwald valleys. 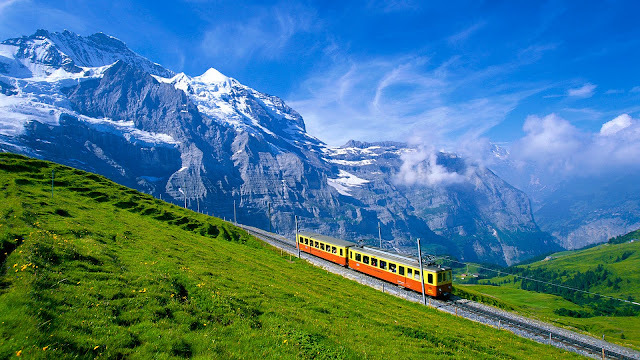 In fact, our train split a few stations later with the front half going to Lauterbrunnen and the back half going to Grindelwald. If you are going to the Top of Europe it doesn't matter which way you go. The high-point of any visit is the Sphinx Terrace attached to the Observatory and Research Station. We ride Switzerland's fastest lift to the terrace and are rewarded with spectacular views over the Aletech Glacier which is over 22 kilometres long and nearly a kilometre thick. Sadly, the views into France, Italy and Germany are masked by low-cloud and fog.